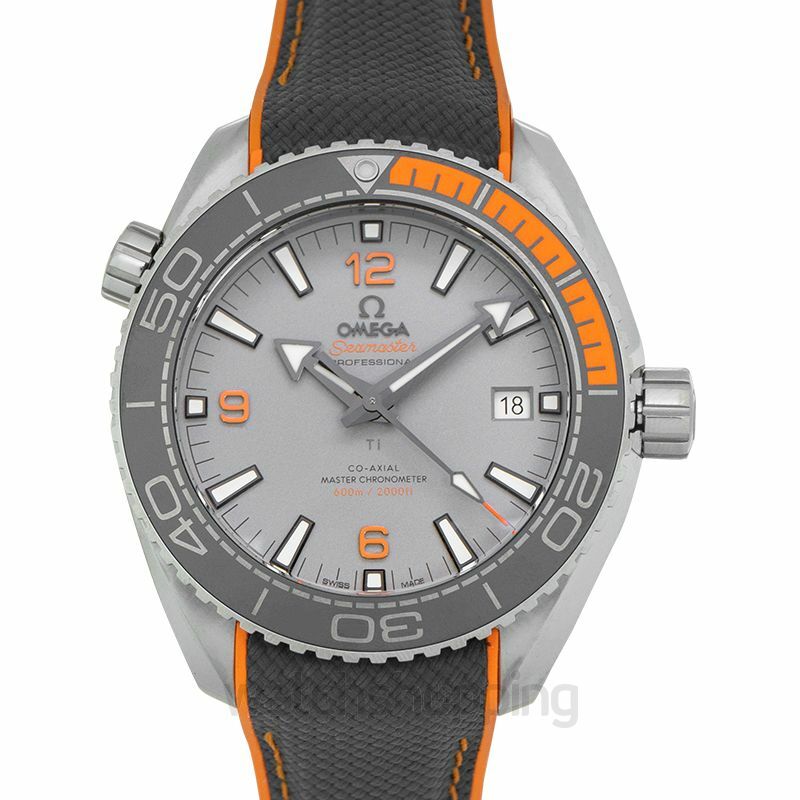 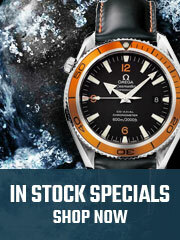 The Omega Seamaster 215.92.44.21.99.001 is a very sporty watch with a delightful color pallet. 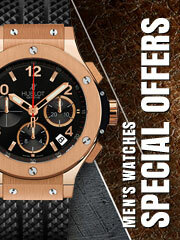 It has a 43.5mm silver-tone titanium case topped with a unidirectional titanium bezel with a grey ceramic top ring. 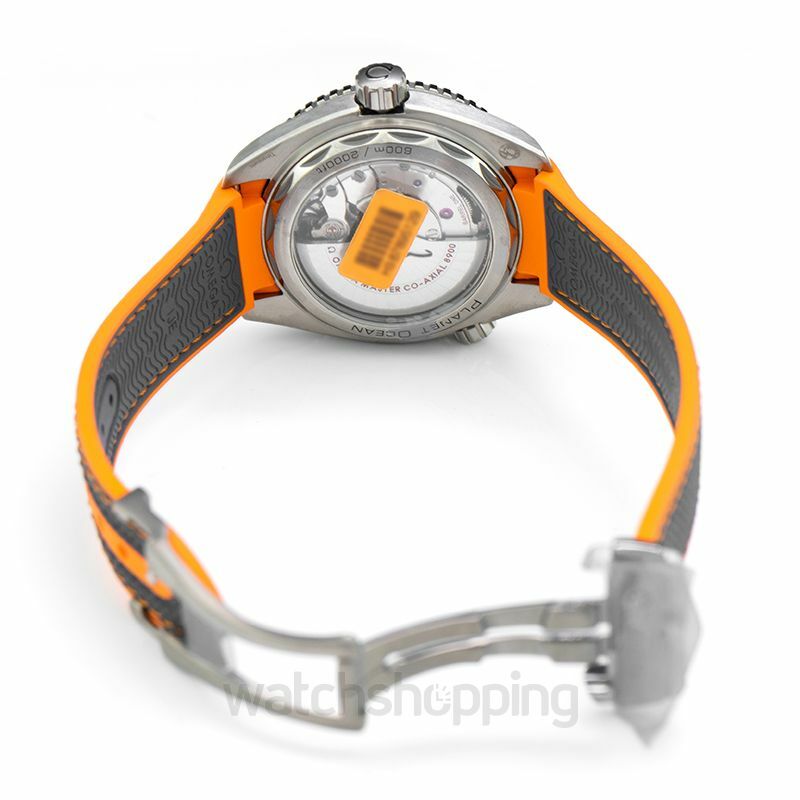 The dial is also grey and is marked with both Arabic numerals and index markers. 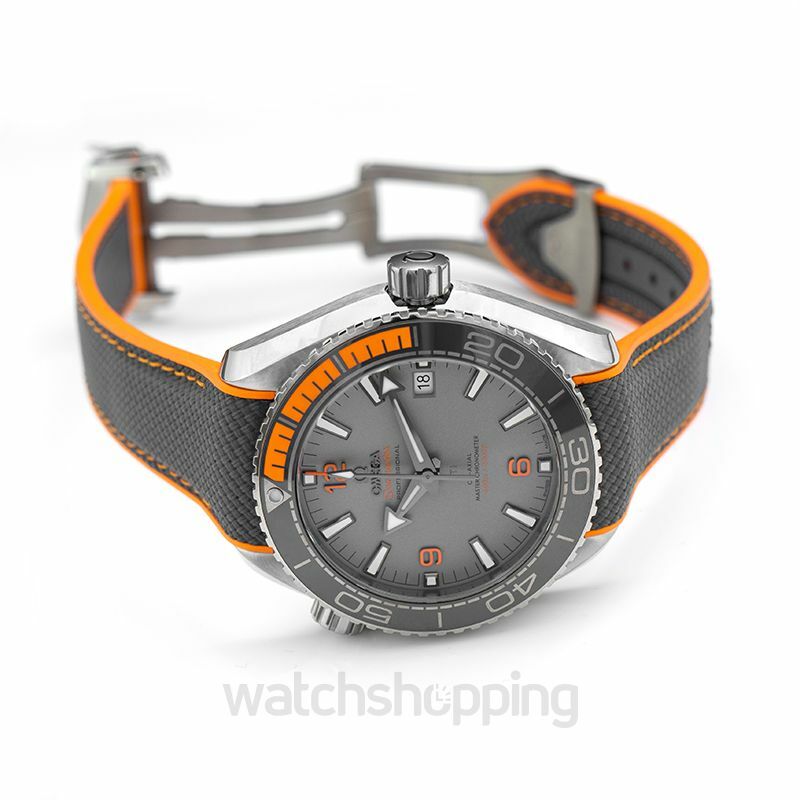 The Arabic numerals on the dial add a pop of color with their orange tone. 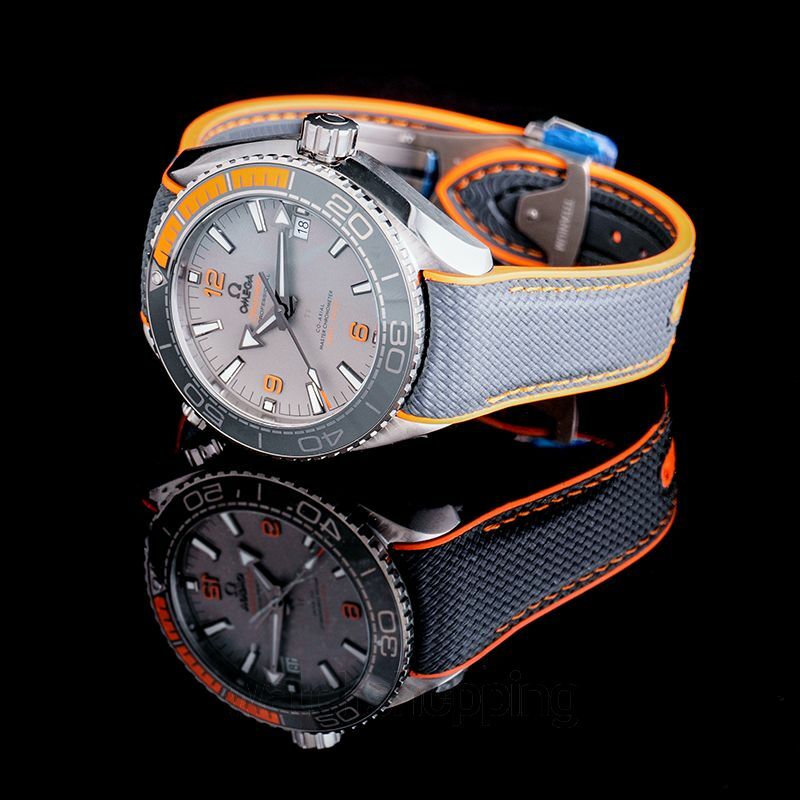 Completing the watch is the grey rubber strap with an orange trim which is fastened with a deployment buckle.